February, 1943. Both the Allies and the Nazis are closing in on attempts to construct the decisive weapon of the war. 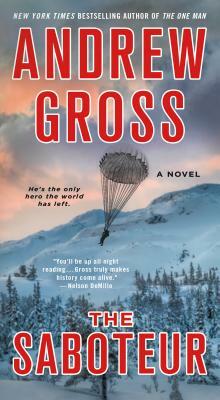 Kurt Nordstrum, an engineer in Oslo, puts his life aside to take up arms against the Germans as part of the Norwegian resistance. After the loss of his fiancée, his outfit whittled to shreds, he commandeers a coastal steamer and escapes to England to transmit secret evidence of the Nazis's progress towards an atomic bomb at an isolated factory in Norway. There, he joins a team of dedicated Norwegians in training in the Scottish Highlands for a mission to disrupt the Nazis' plans before they advance any further. Parachuted onto the most unforgiving terrain in Europe, braving the fiercest of mountain storms, Nordstrum and his team attempt the most daring raid of the war, targeting the heavily-guarded factory built on a shelf of rock thought to be impregnable, a mission even they know they likely will not survive. Months later, Nordstrum is called upon again to do the impossible, opposed by both elite Nazi soldiers and a long-standing enemy who is now a local collaborator―one man against overwhelming odds, with the fate of the war in the balance, but the choice to act means putting the one person he has a chance to love in peril. Based on the stirring true story, THE SABOTEUR is Andrew Gross's follow-up to the riveting historical thriller, THE ONE MAN. A richly-woven story probing the limits of heroism, sacrifice and determination, THE SABOTEUR portrays a hero who must weigh duty against his heart in order to singlehandedly end the one threat that could alter the course of the war.